SRINAGAR: Veteran political leader, social activist and former general secretary of the State Congress Committee Abdul Ahad Yatoo Friday joined People's Democratic Party (PDP). 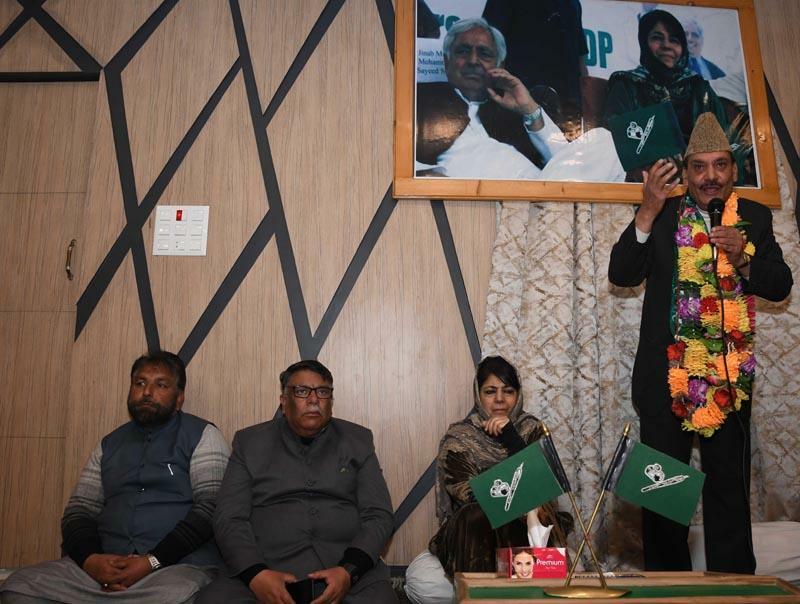 Abdul Ahad Yatoo joined the PDP along with hundreds of his supporters in presence of party president and former Chief Minister Mehbooba Mufti in Srinagar. Yatoo hails from the Pattan area of Baramulla and has been actively involved in the State politics and contested many elections during last three decades. Mehbooba Mufti, while welcoming Yattoo into the party fold said that his joining will further strengthen the party at the grass root level in general and Pattan area in particular.